Do I really need to tell you the value of persistence? Anyone who has ever played sports knows the value of persistence. The runner who runs mile after mile. The Lebron James wannabe who spends hours shooting hoops. The gymnast who repeats her routine again and again on the parallel bars. I get persistence. I am a woodworker. Ask any woodworker what he hates about woodworking and he will tell you, “Sanding.” This is one task, though, I’ve learned to embrace with persistence. Working through the different grits takes time, especially on a large project, but in the end you get a very clean and smooth surface. Recently a neighbor admired a cabinet in my living room. 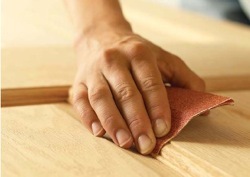 “How did you get the top so smooth?” Persistence in sanding. God invites me to pray and desires to answer my prayers (Jer. 33:3). No prayer is beyond God’s ability to answer (Isa. 59:1). God promises to answer if we trust and believe (Mark 11:24). I believe those truths. 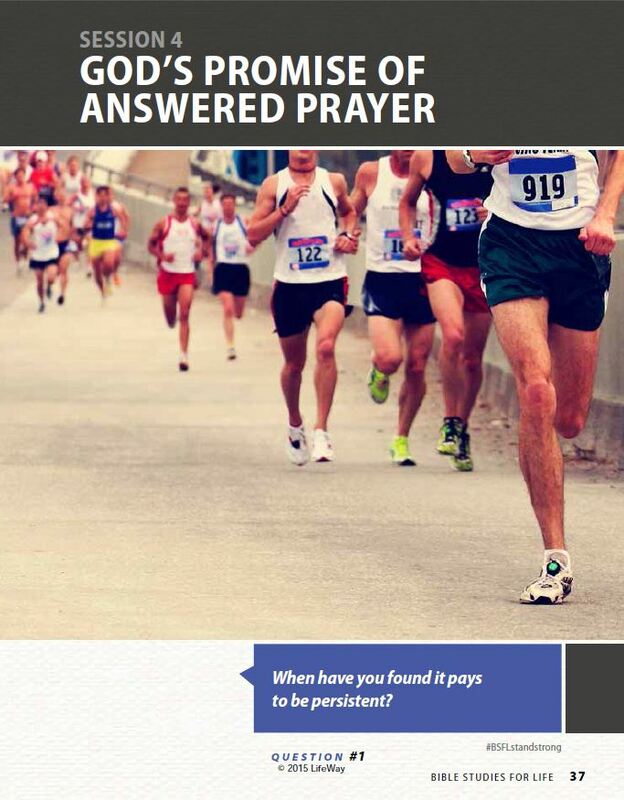 So why does God answer some prayers immediately and others require me to pray continually and persistently? It seems a single prayer to the One I have full faith in would do. God supplies the answer when we need it, not just when we want it. We can trust the omniscient God to know what is best for us, so we can also trust His timing. Let’s not look on prayer as trying to convince God or change His mind; instead, let’s look at persistent prayer as a vehicle to move us into a position of humble submission and trust before God. Persistent prayer doesn’t change God. It changes me. This post is based on the study “God’s Promise of Answered Prayer” in Bible Studies for Life. Psalm 37:3-5 Trust in the Lord and do good; Dwell in the land and cultivate faithfulness. Delight yourself in the Lord; And He will give you the desires of your heart. Commit your way to the Lord, Trust also in Him, and He will do it. Matthew 7:7-11 “Ask, and it will be given to you; seek, and you will find; knock, and it will be opened to you. For everyone who asks receives, and he who seeks finds, and to him who knocks it will be opened. Or what man is there among you who, when his son asks for a loaf, will give him a stone? Or if he asks for a fish, he will not give him a snake, will he? If you then, being evil, know how to give good gifts to your children, how much more will your Father who is in heaven give what is good to those who ask Him! John 16:23-24 In that day you will not question Me about anything. Truly, truly, I say to you, if you ask the Father for anything in My name, He will give it to you. Until now you have asked for nothing in My name; ask and you will receive, so that your joy may be made full. James 3:20-21 Now to Him who is able to do far more abundantly beyond all that we ask or think, according to the power that works within us, to Him be the glory in the church and in Christ Jesus to all generations forever and ever. Amen.